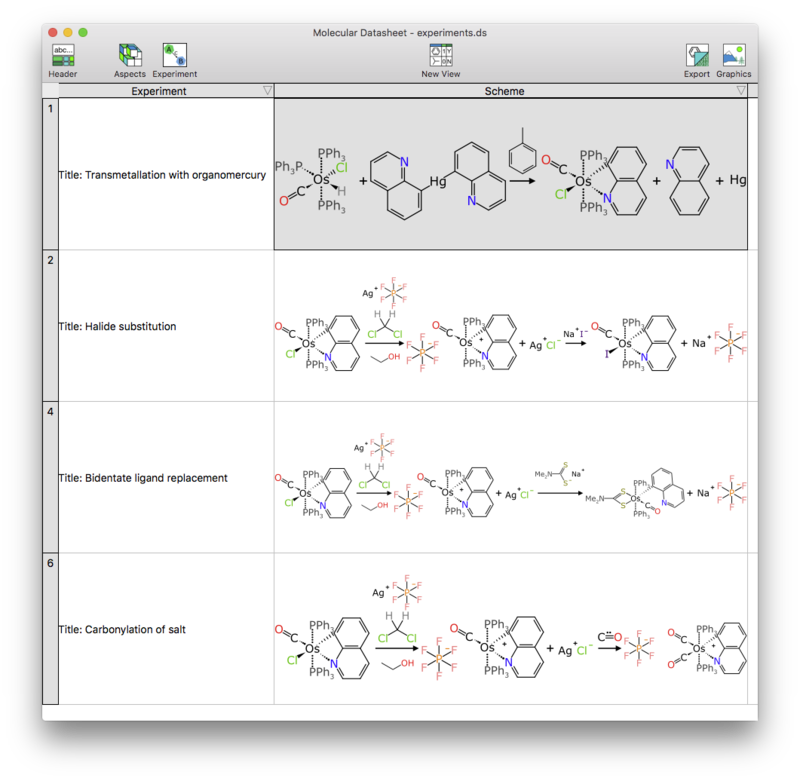 After much procrastination, chemical reactions have started to make their way into the OS X Molecular DataSheet (XMDS) beta. The screenshot shows several multistep reactions from my Ph.D. research, and were originally entered using the Green Lab Notebook (GLN) app. The Mac app and the iOS app both use the same data format, which is based on the extensible aspect protocol for molecular datasheets (see description), which seeks to capture a reaction description that is highly machine readable. As well as representing a multi-step schema, which can handle the non-organic species that are so commonly used as reactants, it also handles stoichiometry and quantities, in a way that can be used to balance the reaction and generate metrics. This has been available on mobile for awhile now, but the desktop analog is catching up. Editing has yet to be implemented, but there’s a lot of background work that goes into just displaying reaction schemes, so it’s well underway.